A former schoolgirl remembers the children's demonstration that sparked the Soweto Uprising against South Africa's apartheid regime in 1976. 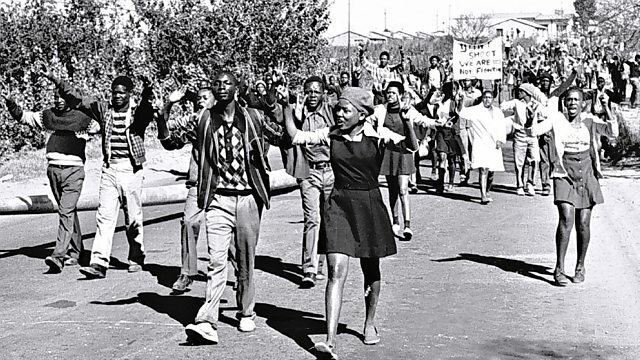 A former schoolgirl remembers the children's demonstration against having to study in Afrikaans that sparked the Soweto Uprising against South Africa's apartheid regime. Bongi Mkhabela spoke to Alan Johnston in 2010 about her memories of the protest. This programme is a rebroadcast.